A new 1.5-litre diesel engine transforms the Mazda3 into a real contender. 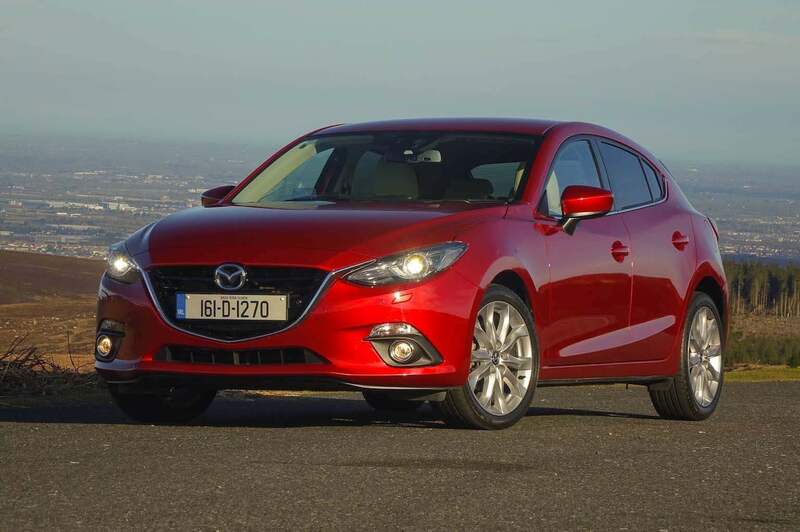 We've always liked the Mazda3, but sales in Ireland were stymied somewhat by the fact that the only diesel was a 2.2-litre - and Irish buyers still favour smaller engines. Now with an efficient new 1.5-litre unit under the bonnet it's ready to conquer the C-segment. This is the most important new version of the Mazda3 hatchback yet released. No, it doesn't look any different to the model that has been on sale in Ireland since 2014, but there's a crucial change found under the bonnet. It's now available with a 1.5-litre diesel engine, which should help it compete with the best-selling Ford Focus and Volkswagen Golf diesels at the top of the sales charts. With emissions of just 99g/km and official fuel consumption of 3.8 litres/100km, you can be sure that running costs are going to be minimal. Nothing is new here other than the engine, so as before the Mazda3 looks smart inside and out (especially in the higher trim levels) and it drives in a manner that should have it competing for class honours. It has a lovely balance between ride comfort and dynamic road holding so all drivers will find something to like. The new engine is super-quiet for a diesel, but its power delivery is so smooth that it sometimes feels slow, even if it technically is not. The Mazda3 was a good car when it was launched and now its appeal has been broadened by the addition of the smaller diesel engine. We'd still prefer the 2.2-litre model (and there's not a huge price differential), but Mazda Ireland will find it easier to convince potential Golf, Focus and Opel Astra buyers to try out the Mazda3 with a 1.5-litre engine under the bonnet. It deserves to succeed.